Welcome to our office and thank you for selecting the Ear, Nose and Throat Center to handle your healthcare needs. We provide specialized care in Otolaryngology – Head & Neck Surgery, Audiology and hearing aids, and maintain a full-service Allergy testing and treatment clinic. We provide care to patients of all ages, both children and adults. It is the goal of The ENT Center to provide the most efficient caring and understanding service to our patients. Our allergy practice was first introduced into this area in October of 1978. The Ear, Nose & Throat Center has an on-site computerized axial tomography (CT or CAT) scanner. The Ear, Nose & Throat Center is a full-service practice in Otolaryngology, Head and Neck Surgery. We carry a full line of ReSound hearing aids and accessories. We will recommend the best hearing aid for your lifestyle needs and your budget. It is the goal of The Ear, Nose & Throat Center to provide the most efficient caring and understanding service to our patients. 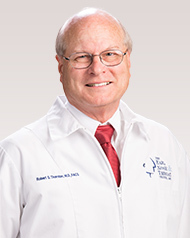 Dr. Robert S. Thornton joined the Ear, Nose & Throat Center in 1977. 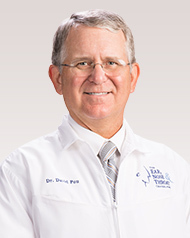 Dr. David G. Pou began his practice at the Ear, Nose & Throat Center in July of 1985. 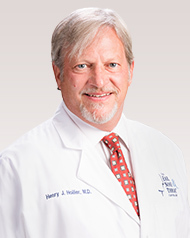 Dr. Henry J. Hollier joined the Ear, Nose & Throat Center in July of 1994. 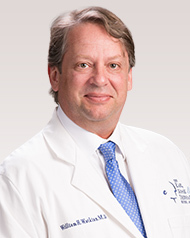 Dr. William H. Watkins joined the Ear, Nose & Throat Center in July of 2000. 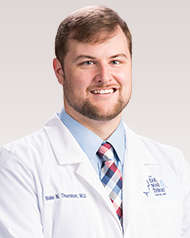 Dr. Blake N. Thornton began his practice at the Ear, Nose & Throat Center in July of 2015. Dr. Thornton and his staff are extremely friendly and professional. My visit was quick, but thorough. Totally satisfied! Office was amazing. I called at 11:20 to get a new appointment on Friday afternoon which I figured was impossible but they did it! Dr. Thornton was patient and great with my 14 year old. Tripp is 4 years old. He broke his nose. We brought him in and were worked in the very same day. We loved our experience that we had. It was very professional. Thank you for all the help. I am both thankful and grateful for the courteous and professionalism shown my husband and I during our appointment. I am truly satisfied and more knowledgeable about my ear problem and it has opened my eyes to the help I will need in the future. Wonderful, caring staff. Dr Watkins was thorough and I highly recommend him. Wonderful experience! Dr. Hollier was thorough & fast. My ear occlusion was resolved and my hearing is perfect. Thank you! The care and attention I received from the Ear, Nose & Throat Center from the front desk back to Audiology far surpases my expectations. They are all very kind and very professional and I have been treated with the utmost respect. The Ear, Nose & Throat Center is wonderful. From the moment you walk in, you are greeted by friendly faces who help make the process go smoothly. My daughter was so comfortable with Dr. Blake and we were in and out quickly. I highly recommend Dr. Blake and The ENT Center! I'm very pleased with my nose surgery and love my Doctor and all his helpers. I wish him many years of healing people. My doctor is Dr. Blake Thornton. Happy Days. I was so sick going in to Dr. every month sometimes 2 or 3 times for meds. Finally an allergy test was done, started on my allergy shots, man can I tell the difference. I feel so much better, can go and do things without being sick and taking all kinds of meds. Thanks to the staff and Allergy Staff for feeling so much better. Very professional and accommodating. They will squeeze you in if they can. We have been so fortunate to find this office. Dr. Hollier has helped us greatly because other doctors could not solve a nose bleed problem. We never wait long to get in, even though our appointments are often made with little notice. The Ear, Nose & Throat Center really takes great care of their patients. They truly see to all the needs of each individual and go above and beyond for every patient. I always recommend their clinic to friends and family. All of the doctors and staff are wonderful. I have been getting my shots since December 2016 and at times wondered if they were making a difference. Well because of my job, I had to got two weeks without my shots and I began having watery eyes again. Very thankful to know my shots are making a real difference. Thank you! Thank you Dr. Watkins, I have enjoyed working with you and my voice problems have disappeared. The ENT Center, AMC has provided the best service for my allergy problems. I can always count on their professionalism and care. It has been a pleasure working with all the staff at The ENT Center, AMC, I no longer have problems with snoring. 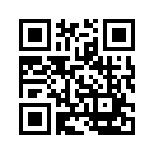 Looking for a ENT Doctor? We provide specialized care in Otolaryngology – Head & Neck Surgery, Audiology and hearing aids, and maintain a full-service Allergy testing and treatment clinic. The Ear, Nose & Throat Center was established in 1951 when Dr. Jack Pou joined Dr. Riggs and built the office at 2121 Line Avenue. We hope that your medical care here will be to your satisfaction and will be smoothly and professionally delivered.